Children living in the state of Victoria will be the first Australians to trial a synthetic medical cannabis treatment for uncontrollable epilepsy, according to the Herald Sun. The clinical trial will cost $150,000 and is the first of its kind in Australia, with other states to possibly announce similar initiatives in the near future. It is hoped that if the trial is successful, it could pave the way for medical cannabis to become widely used as part of treatments for a variety of ailments and illnesses, in addition to epilepsy. Up to 60 children and young adults aged between 1-17 years old will be given access to synthetic medical cannabis as part of three international trials run by Austin Health, a major private healthcare provider in Australia. The clinical trials operated by Austin Health will focus on the non-psychoactive cannabidiol (CBD) part of the cannabis plant which various studies suggest could be the key element in reducing epileptic seizures. The announcement was made by Victorian Premier Daniel Andrews before next week’s parliamentary debate regarding the introduction of a Bill to make medical cannabis “legal in exceptional circumstances”. Should the trials prove successful, it likely to lead to legislative changes with respect to CBD to make it easier for patients to obtain medical cannabis without fear of prosecution. According to The Herald Sun, if the Bill is accepted into law, “it would allow the first Victorians to receive locally grown and manufactured cannabis products early next year”. It reported that Nicholas Johnson, aged 14, will be the first patient enrolled in the three month trial, expected to complete sometime in mid-2016. Austin Health Professor Ingrid Scheffer told the Herald Sun that clinical trials ensure a “pure dose” therefore helping to determine the true efficacy of medical cannabis when treating epilepsy. “Parents are sourcing it [cannabis] from overseas, from someone’s backyard [sic]; others are growing it themselves. We don’t know what they’re getting” she said. 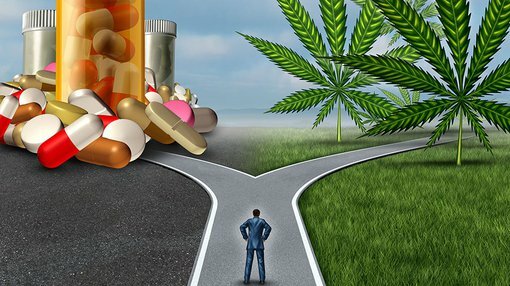 News of imminent clinical trials in Victoria (with more clinical studies in other Australian states likely in the near future) and a potential easing of legislative restrictions to CBD-based products, is likely to improve the operational environment for several ASX-listed companies currently developing medical cannabis products for sale in Australia. MMJ Phytotech (ASX:MMJ) is the first medical grade cannabis company to be listed on the ASX, operating a ‘farm to pharma’ strategy that could see the company bloom into a pharmaceutical company with full supply chain integration. After merging with Canadian-based MMJ Bioscience last year MMJ is developing a range of CBD-based products aimed at the growing global market for medicinal cannabis, in partnership with a leading scientific research centre in Israel. MMJ already has sold its first CBD-based pill via European distribution partners, with the sale taking place late last year. With growing operations being brought online in Canada, MMJ hopes to produce around 1000 kilograms of medical grade cannabis every year. Another ASX-listed medical cannabis company, is taking a different approach by focusing on cosmetics rather than pharmaceuticals. MGC Pharmaceuticals (ASX:MXC) is aiming to produce high quality resins, oils, salves and creams made from CBD with growing operations in Slovenia and Namibia. Last year, MXC became the first Australian registered company to gain permission to grow, process, import and export an unlimited quantity of Cannabis Sativa L (hemp) and its products. Following a reverse takeover (RTO) of ASX-shell Erin Resources, MXC has earmarked more than 50 products to be ready for sale in the first half of 2016 including facial creams, eye serums, soaps, toners and cleansing milks. MXC expects to generate in excess of $10 million in revenue from the first year of sales after signing a $62 million off-take agreement with Natura Laboratories in June.